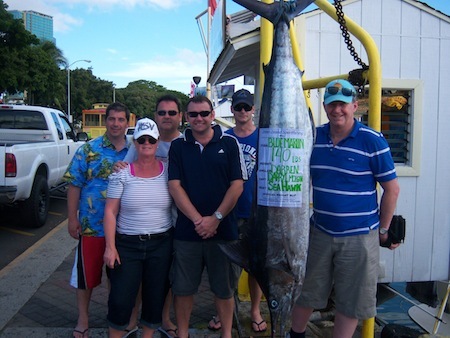 Ian, Mary, Damian, Bob, Jimmy and Angler Darren with 140 lb Blue Marlin! 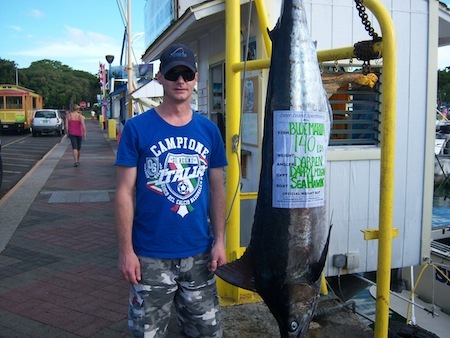 Angler Darren with his 140 lb Blue Marlin! 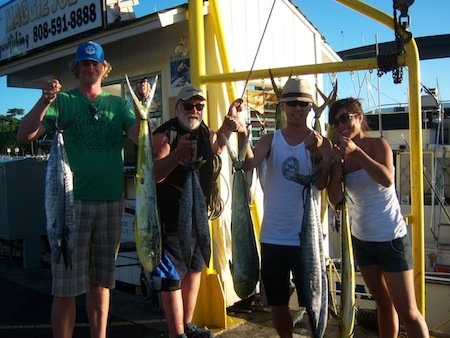 Mahalo to angler Darren, Ian, Mary, Damian, Bob and Jimmy for choosing Maggie Joe Sport Fishing! 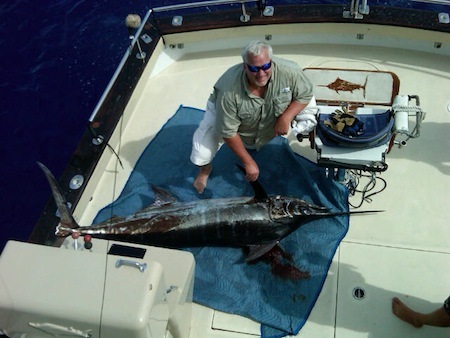 The group departed Kewalo Basin, next to Waikiki, on a sport fishing charter aboard the Sea Hawk with Captain Darryl. 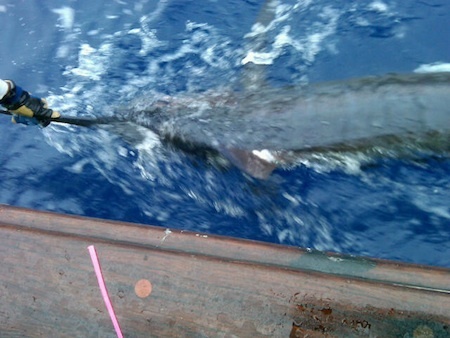 While deep sea fishing outside of Honolulu, Oahu Darren’s rod went off and he hauled in this nice 140 lb Blue Marlin! 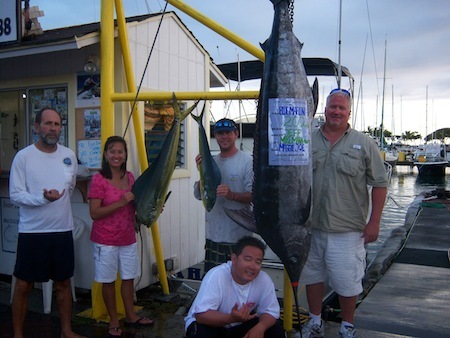 Congratulations and Aloha! 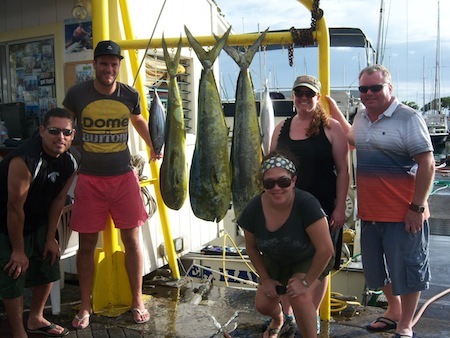 Gloria, Carroll, Catherine and Sarah with 4 Mahi Mahi! 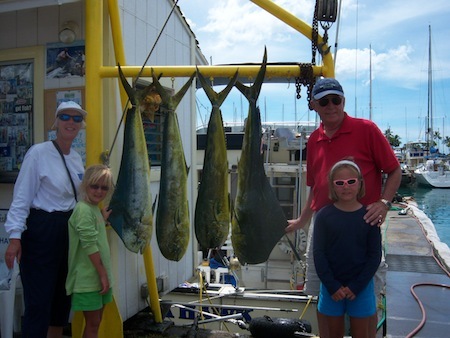 Mahalo to Gloria, Carroll, Catherine and Sarah for choosing Maggie Joe Sport Fishing! 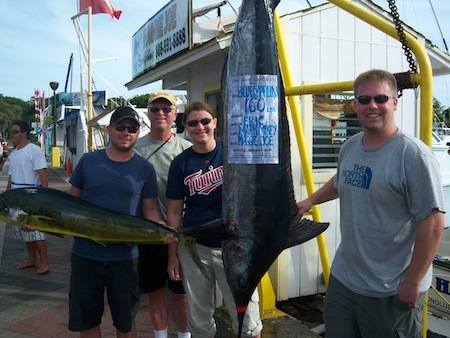 The family spent the day with Captain Darryl on a sport fishing charter. 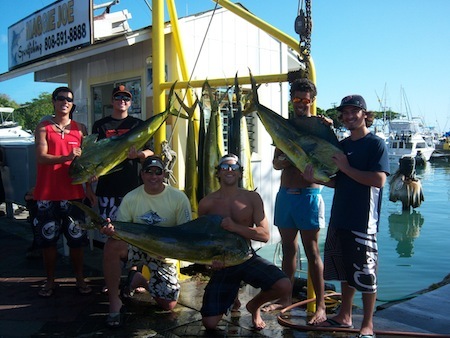 While deep sea fishing outside of Waikiki, Oahu they hauled in these 4 Mahi Mahi! 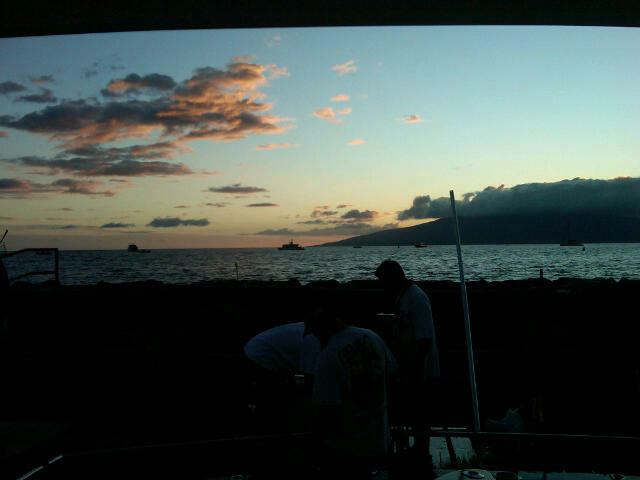 Great job and aloha!